Ever gone fishing in the winter and found your lure couldn’t withstand the cold temps? 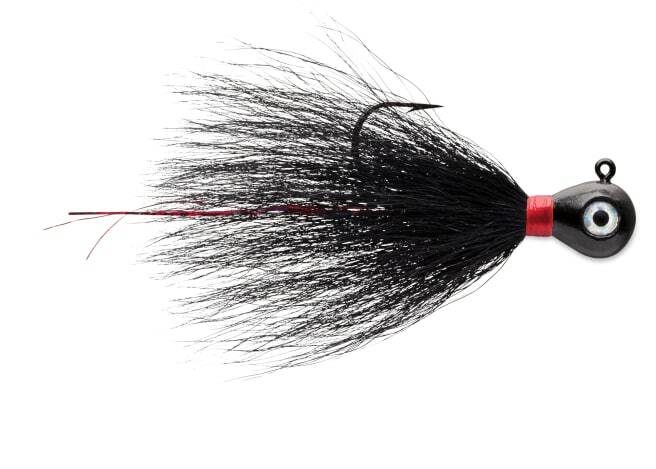 The VMC Bucktail Jig addresses that issue with its special natural bucktail and tinsel fibers that are flexible and flow when hot and cold. The head is a time tested large eye and the colors are designed by the pros. Enjoy this unique blend and fish year round. Comes in a 2 pack!